Editor’s note: Underlying today’s culture of death is disordered sexuality, which is reflected in a dangerous tendency to stifle God-given differences between the sexes— particularly boys’ uniquely masculine traits. Dr. Esolen’s column addresses this widespread problem. He loves his mother, and his mother loves him, and that’s why she let him go to the mountain. That’s also why she and her husband and the other children have come to the mountain too. 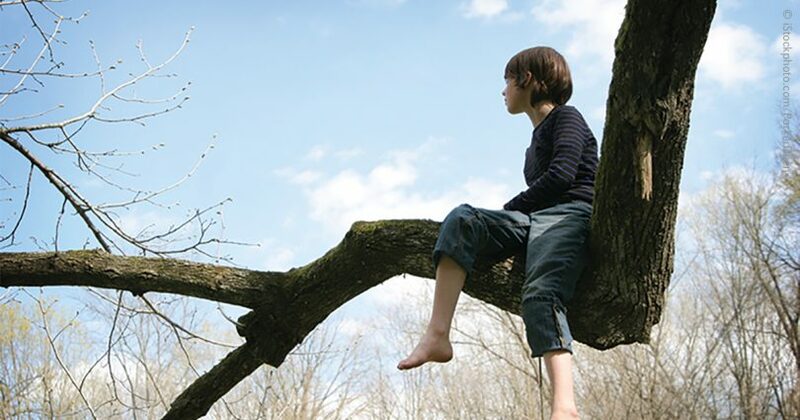 A woman used to know that boys need adventure and need to face challenges in order to learn self-reliance, and that they cannot learn this in the haven of motherhood. But who would understand this now? The most remarkable thing about it all is that the author, Jean Craighead George, was never a boy. She was a mother. How could she know so well what a boy would love and how he would go about his business, alone? She even had Sam say, of another boy who looked for the rumored lad on the mountain, “I had liked him although we hadn’t even had a fight. All the best friends I had, I always fought, then got to like them after the wounds healed.” How did a girl know so much about what it’s like to be a boy? There’s only one answer, as I see it. She had to observe boys closely and with affection. And that, sad to say, is the main reason why this book would not be written now. Dr. Anthony Esolen is a professor of English at Providence College, and the editor and translator of Dante’s Divine Comedy, in three volumes, for Modern Library. His more recent books include Ten Ways to Destroy the Imagination of Your Child (ISI Books), The Politically Incorrect Guide to Western Civilization (Regnery Publishing), and Reflections on the Christian Life (Sophia Institute Press).